When we asked where babies came from during the '30s, we were told they came in Nurse Kyle's bag! Was brought kicking and screaming into this world by Nurse Kyle in Clyde Street. I guess she was sent for as we only lived down the street from her. She certainly was a wonderful woman, formidable but kind, and my mother Rita Macdonald told me she was a good midwife, one of the old school. I was also brought into this world in Outram Street by Nurse Kyle. Dr Auchterlonie was also in attendance. They were both of the old school but very caring. I took off the tip of my right index finger on Ronnie Garson's bike. Nurse Kyle removed what was left of the nail, plunged the whole finger in Detol, stuck the tip back on and bandaged it up. It is still functioning perfecly to this day, 70 years on! 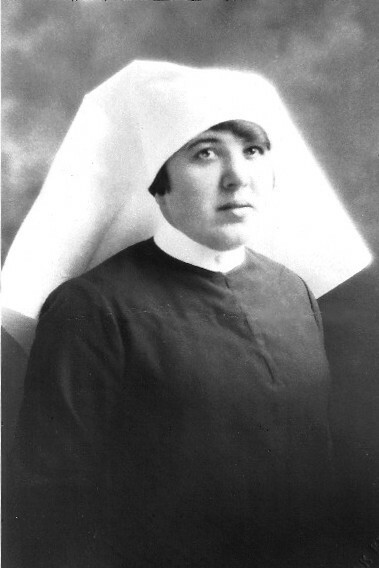 No Invergordonian could ever forget Nurse Kyle. As previously mentioned even when an "emergency" occurred she was never too busy to answer her door and deal with whatever. She was just always there. A very kind and caring woman. Hello George, don't know if nurse Kyle practised on you first, or me, but she had to do a similar operation on me when one of my fingers got jambed in the police car door. Can't remember how old I was, but it was Sgt. Mcphail who was in residence in the police house, and we were playing in the garden where the car was parked. Fortunately I lived just round the corner from nurse Kyle, so she was able to put the bits back together again pretty quick, and yes, they are all still in one piece, many years later. Do you have a younger brother Alex? We were in the same class in school. Hi Eddie, that is news for me. I didn't know that there was a police car in Invergordon, it couldn't have been used much. I suppose it was a Wolsely as most of them were? Hello Harry. It wasn't the type of car to give chase on the highways and byways of Ross and Cromarty, more a car for transporting the constables from one place to another. We knew it as the police car, and it used to be parked in the garden behind the police station when it actually was in Invergordon. Hello Eddie. Sorry, no I do not have any brothers, just three sisters Maisie (deceased) Jessie (Jan) and Joan. My accident happened in 1936/7 when luckly Nurse Kyle was attending to my grandmother who was also living in the Cottages. I remember the police sergeant "big Murdo" and a very small grey A35 van. He once stopped me cycling on the pavement. Nurse Kyle had a black Morris car. Hello, this is "big Murdo's son, Ian here. This site brings back lots of memories of my childhood that I had long forgotten. I just can't remember any police vehicle parked in our garden. Can anyone enlighten me any more? Hello Ian, remember your dad well but not the car. Just to say that the last time we met was in the sixties on Penang Island!!! - Jan and Ken Walton. Ken passed away in March 2001. Hope life has been treating you well. Jane (nee Fraser) Walton now Farrah. Hello Ian. I well remember the car parked in the garden on the gravel area. One day we were all playing around and in it when someone slammed the rear passenger door. Unfortunately my right middle finger was between the hinge and the post so the top of my right middle finger was cut off. Luckily Nurse Kyle lived just round the corner and she was able to put the bits back in place. I have very fond memories of Murdo Macphail as our Bobby in Invergordon. I particularly remember him on duty standing near the Fountain which was located in the 50s on High St., where King St. comes up from the harbour. He kept order as cars came and went but also had time to joke with us on our way home from school. In my class at school was Christine, Ian's little sister. Ian, I think the Big Murdo that Liz remembers is actually "Big Murdo Murray" (no relation) who served in Invergordon after your father, and yes he drove a grey Austin van. Your father raced me many a time but he was always either on foot or on his Bike..happy memories. Hello Jane, I am very sorry to hear about Ken. I don't know if you remember my wife, Eve? She died in 1983, only 43, with cancer. I now live on the outskirts of Stockton, near Darlington, with Heather. I turned 68 on the 1st April! I retired 15 months ago. I am learning the workings of the computer so I can get in touch with all the people I knew from the past. Hi Ian, if you remember you were in my class at school! I remember your father well as he put Amelia (Muckle) and me in the cells for a few hours as a punishment for knocking on doors and running away!! This was set up by my Granny and Amelia's parents to give us a shock - IT SURELY DID!! Sorry to hear about your wife but I'm glad that everything is going well for you and Heather. My husband died in 1994 of a brain haemorrhage. He had a heart transplant in 1992 which was very successful. Hello Rosalie, of course I remember you. Talking of my Dad, my Mother just went in to a Nursing Home 2 months ago - she will be 91 next month. Her school friend was Alice Macleod who taught us; sadly she died recently. I am sorry to hear that you lost your husband. It's not easy to understand life sometimes. Do you still live in Kent? I still have the letter you sent in 1986. My sister and Mum live in Glenrothes.